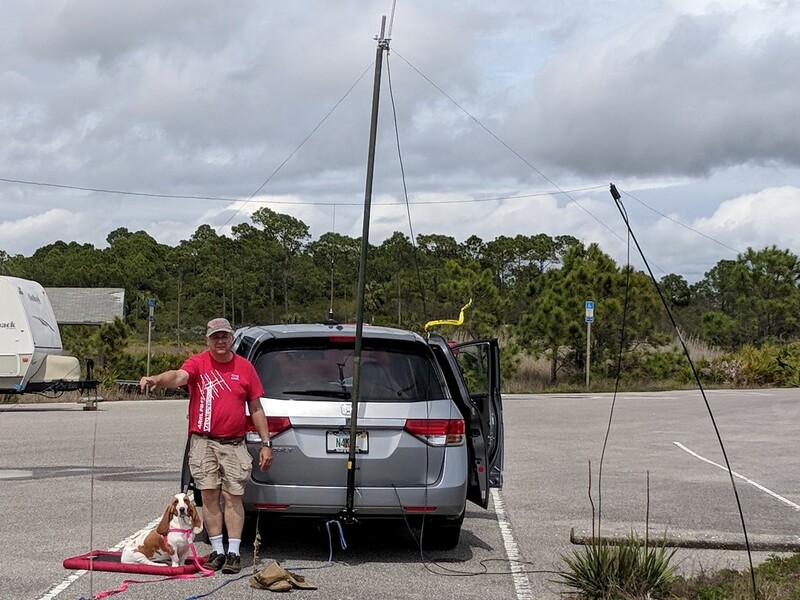 N4KGL - RaDAR: April 2018 RaDAR Challenge and Florida State Parks On The Air Contest. 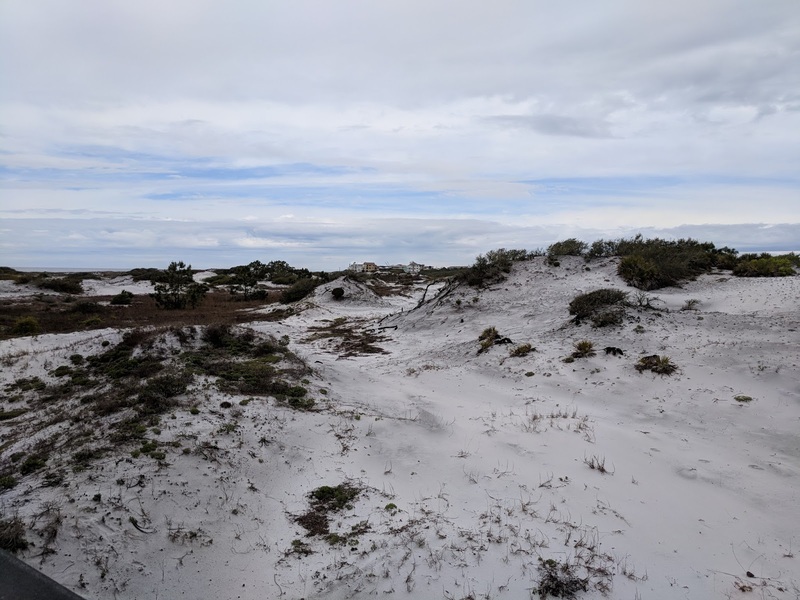 April 2018 RaDAR Challenge and Florida State Parks On The Air Contest. The April RaDAR Challenge coincides with the Florida State Parks On The Air Contest. The FLSPOTA Contest is sponsored by the Lakeland ARC. Thanks to Matt NJ4Y who is one the organizers. RaDAR can play well with other events like the FLSPOTA Contest. 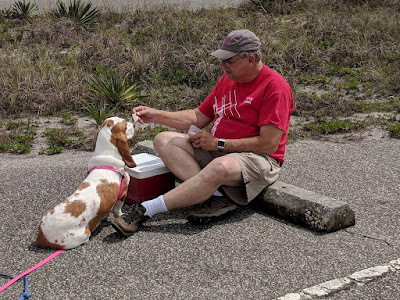 My usual venue for RaDAR is a Florida State Park anyway. The first Saturday of April last year was perfect weather. This year the forecast for rain got worse the closer we got to the day. I even considered bailing out. However, why not start and see what happens. The forecast for rain was correct by the way. In Northwest Florida, we are blessed with many state parks. Since RaDAR encourages movement, we moved by vehicle and visited five parks along the coast in succession. My buddy Dennis WA6QKN is on my RaDAR team so we braved the rain together. We operated out of the van. I call it Sonic Style because we are like the two guys in the Sonic commercials. 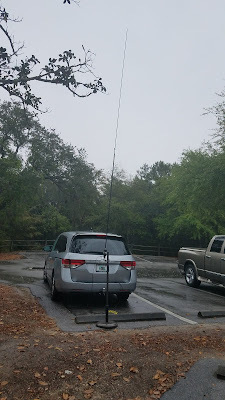 When it is raining, you want to minimize your antenna setup time. The antenna of choice for this situation was the Chameleon whip and the 5-to1 transformer. 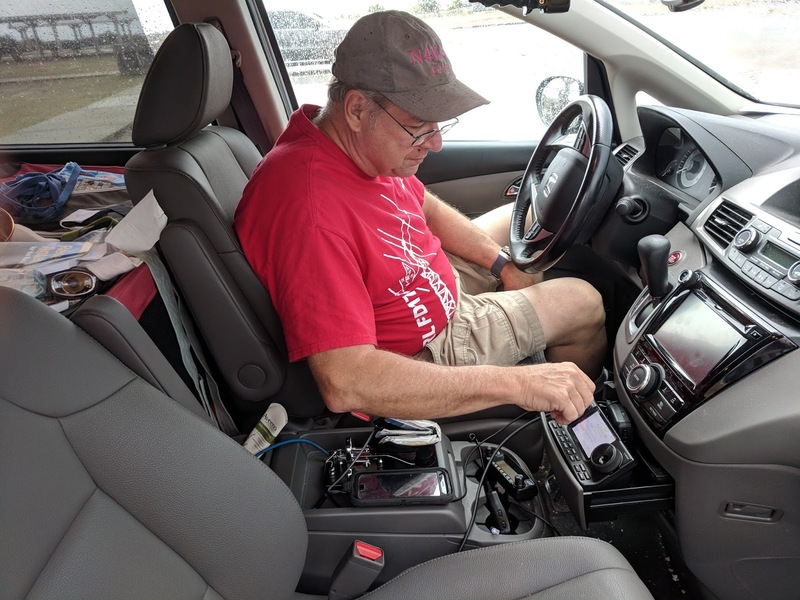 It was mounted to a four-foot pipe plugged into an umbrella stand base.The Icom 7100 in the van had an LDG IT-100 tuner that let us operate multiple bands the Chameleon vertical. Although we know this is not the best antenna for 40 and 60 meters, we still made contacts on those bands. St Andrews State Park:. We made three CW contacts on 20 and one on 40. Then I called out on 60 meters SSB. We were heard by two locals, each named Bob, W5RE, and WB4BLX. We QSY and worked them on 40 CW. I did the SO-50 pass at during the light rain. I think I got Matt NS4Y operating as K4LKL. Camp Helen State Park: It was raining pretty good. We did a quick setup with the Chameleon vertical. We go one 20 SSB and four 40 meter SSB contacts. Deer Lake State Park; This park is small. It does have beach access if you walk. We operated out of the parking lot. Our first contact was KD8JA operating FLSPOTA Contest close by from Henderson Beach near Destin FL. In summary, we had two 40 meter SSB, two 40 meters CW and one 20 meters CW. Grayton Beach State Park: We missed the entrance to this one and did some extra driving. The rain had thankfully passed by We set up the low 40-meter dipole and a resonant 20-meter vertical ground plane. We did CQ FLSPOTA mostly. We got four on 40 SSB and five on 20 SSB. 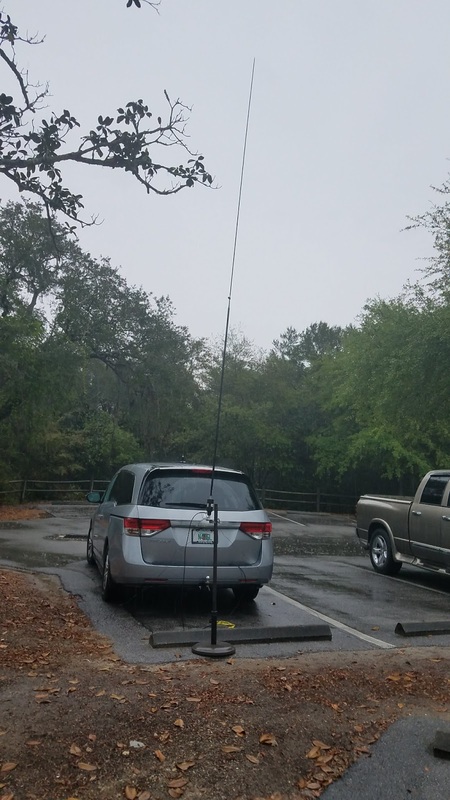 Top Sail Preserve State Park: We set up the low dipole for 40 meters and quickly make five CW contacts with SKCC stations. 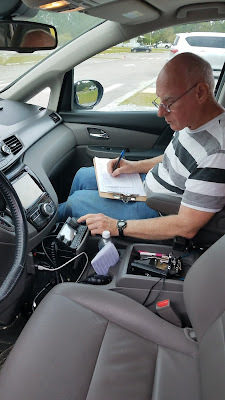 Dennis and I felt we had a full day of ham radio fun despite the adverse weather. Thanks to chasers like Chris VA3ECO that tried but did not find me. We listened to a QSO Today Podcast on the way home. The podcast was Episode 168 with Dennis Verrecchia N6KI about Army MARS during the Vietnam War. Dennis WA6QKN in the van with me shared his own story of setting up phone patches for operators in Vietnam to the US while he was stationed in Guam. QRP To The Field 2018 "A River Runs Through It"